under the auspices of the Ex-Confederate Association of Grayson Co. Tex. Mildred Lee Camp U.C.V. May 21, 1892. Sacred to the memory of our Confederate Dead: true patriots. They fought for home and country. For the holy principles of self government - the only true liberty. Their sublime self-sacrifices and unsurpassed valor will teach future generations the lesson of high born patriotism, of devotion to duty, of exalted courage, of Southern chivalry. History has enshrined them immortal. the story how ye fell." is never a lost cause. in our hearts has found a shrine. 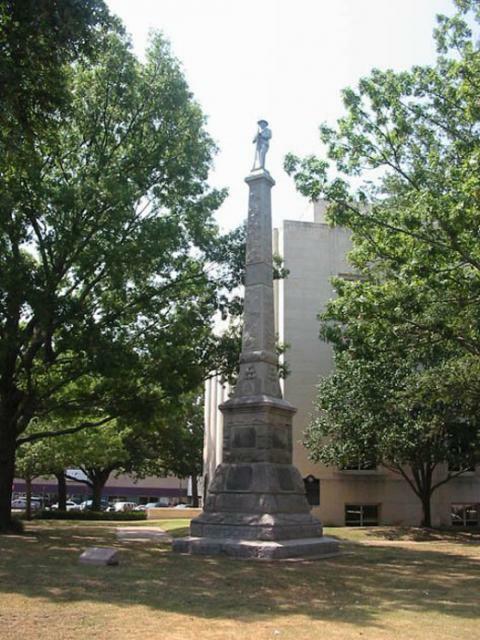 This marker is part of the Sons of Confederate Veterans/United Confederate Veterans series, and the United Daughters of the Confederacy series. This marker can also be identified by its HM code. You can use the hashtag #HM1E2H in tweets, and any other place where you might refer to this marker, including when searching on this site.